The Old Cow Shed holiday cottage is very similar to The Dairy. Both Cottages sleeps up to 6 people in 3 first floor bedrooms. The beautiful Cow Shed cottage has everything you need for the perfect getaway. The cottage has three bedrooms, a fully equipped kitchen/dining room and modern fitted bathroom with free toiletries. The secluded tranquil setting takes you away from the hustle and bustle of daily life, the only sounds are of the surrounding nature. Cosy up by the wood burning fire, or relax in the outdoor bubbling hot tub looking out at the stunning views of the Swansea Valley rolling a hills… a view that will truly take your breath away! The Cow Shed Cottage features one double bedroom and two twin bedrooms, a modern fitted bathroom with bath and shower on the first floor. On the ground floor there is a large open country cottage kitchen and dining room with a separate living room with flat screen TV with Freeview and wood burning stone fireplace. The Cottage has scenic views over the Valley and is adjacent to The Dairy Cottage. We provide all linen and towels and free toiletries. We stayed at Cilhendre during the summer and it was bliss. Our cottage was very comfortable and we were made to feel welcome by the owners Linda and Norman who live nearby. 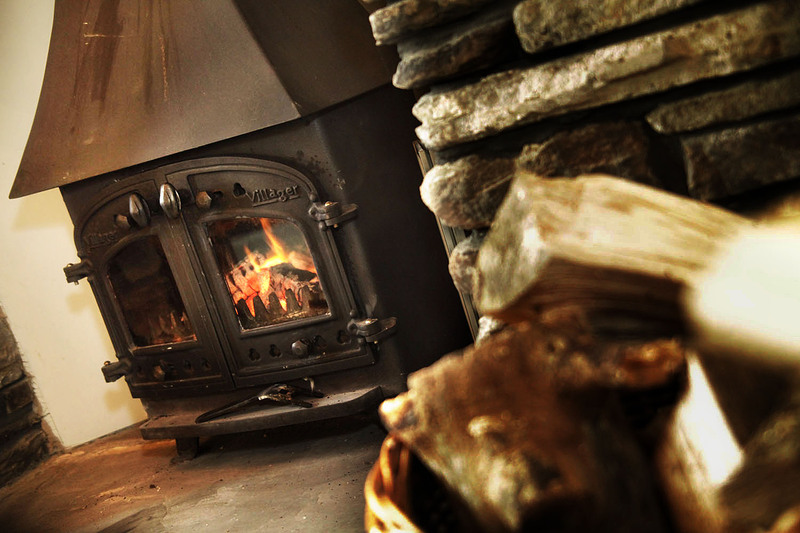 The cottages are in a quiet, rural spot in the beautiful Welsh hills with amazing views. We often enjoyed a quiet drink in the evenings on the patio outside the cottages where you can relax and enjoy the view. It was one of the most relaxing breaks we've had in ages and we will definitely be back!